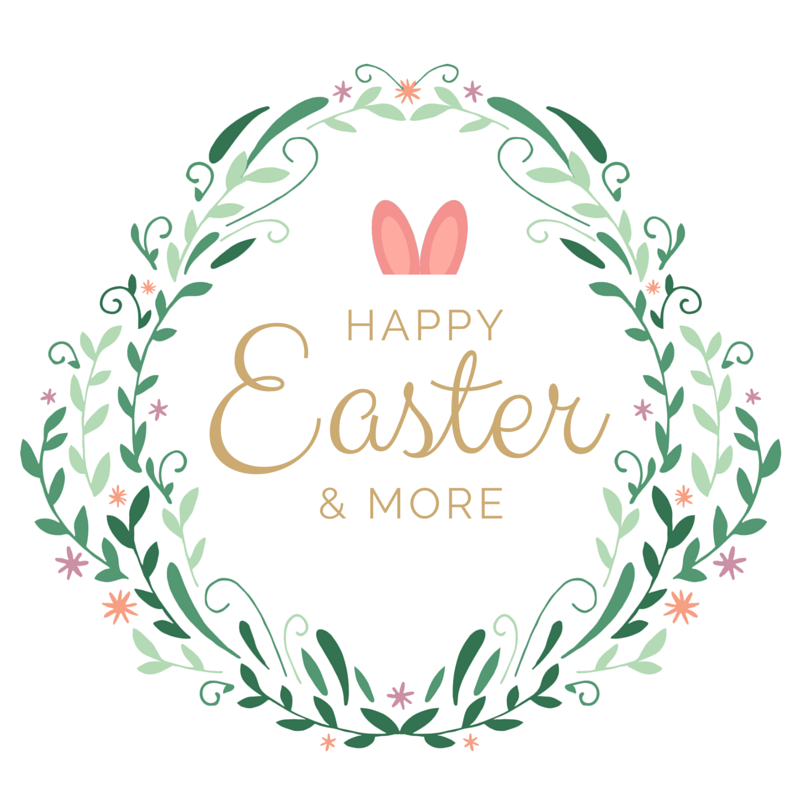 It was a great Easter weekend! 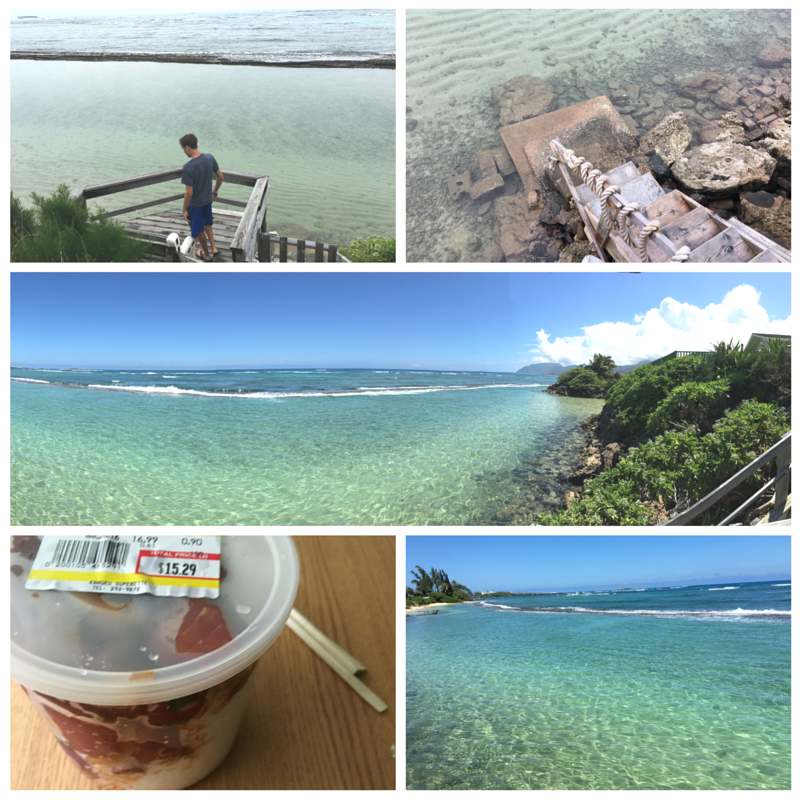 We spent way to much money on raw fish and happened across the coolest ocean access while working. It is such a cool place with the clearest water. It was pretty magical. Speaking of magic... we are listening to the Harry Potter books on audible now. I love them so much. 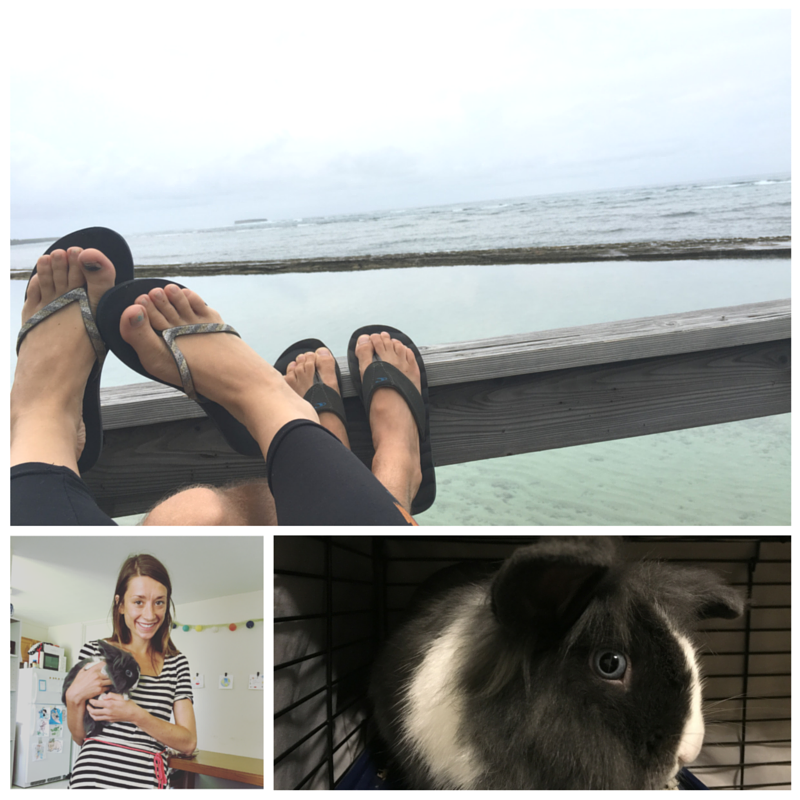 We also babysat our friend's bunny this weekend while they went to Maui! The bunny's name is "Ipo" and has the prettiest bunny eyes I have ever seen. For Easter dinner we got together with Riley's siblings and then played games. I love living by them! I remember being "iffy" about them living so close being newlyweds, but honestly I wish we did more with them. They have turned into my closest friends in Hawaii and going to truly miss living by them. Also, it was the Women's General Conference Broadcast! There was lots of great messages about service that made me want to be better and also got me pumped for this upcoming general conference weekend! I'm glad you're blogging! Since I'm not really. :) You are Riley (and siblings) are having lots of lovely times! Keep enjoying the magic of aloha land.